Yes! The Graham cracker is a healthy snack…that is if you are talking about the original Graham cracker invented by Sylvester Graham. Unfortunately, the answer to this question is not as clear cut as you might think. There are several factors that go into deciding whether or not something is healthy. The current Graham cracker, while still containing some of the original Graham Flour that it was once known for, is not quite as nutritious or bland as the first Graham cracker was intended to be. The Graham cracker was initially created to be a part of a high fiber vegetarian diet called the Graham Diet . So, are the modern day Graham crackers still fairly healthy or have we turned this once healthy and pious snack into a dessert? Let’s take a look at some interesting facts and then decide. For those who like a little history, you will find it fascinating that some of our most popular modern day breakfasts came about because of a religious effort hoping to change the way people ate in order to help reduce sexual urges. During the 1800’s, a traditional breakfast consisted of eggs, ham, sausages, fried potatoes, biscuits, pancakes and coffee. 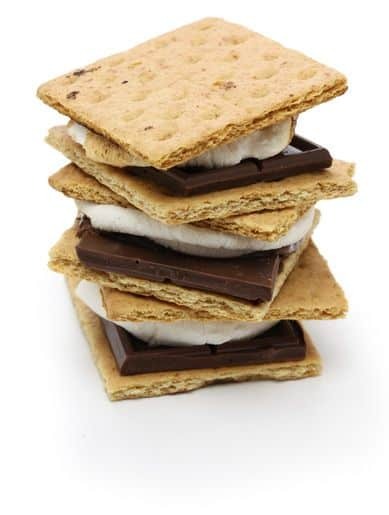 These foods were thought by some including Sylvester Graham, to be too rich and high in fat, which is what eventually led to the invention of the Graham cracker as well as dry cereal. Sylvester Graham, and those who followed his teachings, believed that a diet that was high in fat, meat, refined flour as well as ones that did not include enough fiber could cause impure thoughts and increase sexual behaviors such as masturbation. The Graham cracker was created in the mid 1800’s to be a healthy snack option that, when eaten as part of Sylvester Grahams vegetarian diet plan, would help curb those unhealthy urges in adults as well as children. Sylvester Graham intended for his snack to be nutritious and somewhat bland in taste. So while the Graham cracker started out as a health food, is it still considered healthy today? What’s Actually in a Modern Day Graham Cracker? The crunchy sweet snack that we have all come to love is now mainly composed of unbleached enriched flour, reduced iron, added vitamins, Graham Flour, sugar, soybean oil, honey, leavening, salt, soy, lecithin and artificial flavors. While the original recipe also included many of these same ingredients, it was made to be much less sweet unlike the current honey, cinnamon and even chocolate versions that we see today. The Graham cracker that we currently enjoy is a mildly sweet snack enjoyed by toddlers as well as adults. 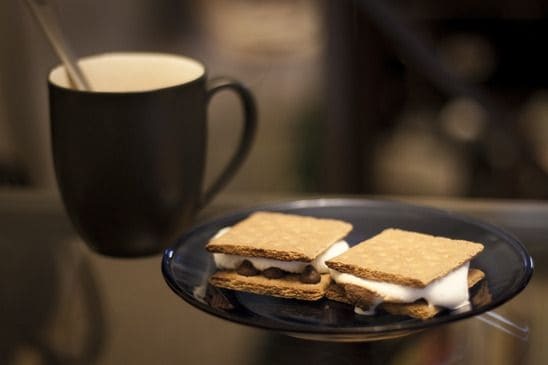 People often use Graham crackers to make pie crusts along with numerous other desserts including a must have camping staple, the sinfully delicious s’more . However, when compared to an oatmeal raisin cookie, the differences are slight when it comes to the calorie and fat content. Also, when compared to a popular cracker which boasts 90 calories per the 5 cracker serving size and 5 grams of fat, you would be led to believe that the Graham cracker ends up falling somewhere between a cookie and a cracker on the snack spectrum. But, there more to the story. The way our body breaks down and uses food depends on more than just the calories and fat it contains. Understanding the nutritional value in food is extremely important. Because of ongoing research we are learning more and more about how our bodies react to the food we eat. We are also becoming increasingly aware of how certain foods may increase our chance of developing diabetes, heart disease and even cancer. While the current diet trends may come and go, there is one thing we do know for sure, and that is how our body breaks down, uses and stores certain foods and how those foods affect the overall health of our bodies. Food today is scrutinized by doctors and scientists who are constantly researching the effects of food and its influences on behavior as well as how it may increase our susceptibility to certain kinds of illnesses. Knowing where foods fall on the Glycemic Index scale can help you make smart choices when deciding what to eat. By choosing foods with a low glycemic load we can keep our blood sugar levels stable and shed those unwanted pounds. Foods that have a high Glycemic load will quickly raise our blood sugar levels and increase insulin production prompting our bodies to store the extra sugar as fat. Eating foods that have a high glycemic load on a daily basis can lead to diseases such as Type 2 Diabetes . Not everyone chooses to follow a set diet plan, but many people are choosing to eat foods that are less processed and that contain fewer additives and artificial flavors. By eating whole foods that are minimally processed people can limit the amount of unwanted chemicals they are consuming. It is even believed that some additives such as food coloring may have such serious implications as intensifying ADHD behaviors in children. Artificial flavors, which are common in so many of the foods we eat on a daily basis, are not heavily regulated or tested, so it is unknown as to the full effects they could possibly have on our health. It is possible for one artificial flavoring to be a combination of many chemicals, which can leave you wondering exactly what you are ingesting when all that is listed under the ingredients of a product is the simple description, artificial flavor. In this case, it is always better to opt for foods that do not have artificial color or flavors added. The Graham cracker does not contain any artificial food dye or color, but it does contain some artificial flavors. For those who would rather make sure that their food is completely free of all additives, I would suggest making your Graham crackers from scratch. This will guarantee that you are making a Graham cracker that is as healthy as possible and that does not include any of the unwanted chemicals that could negatively affect our health. Graham crackers can be found in just about every pantry in America. 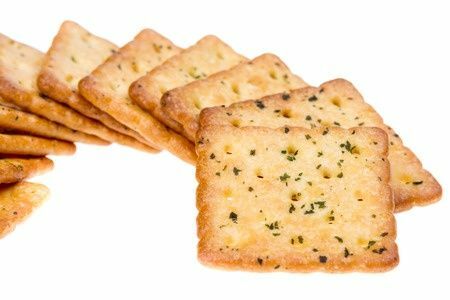 But are Graham crackers really a smart snack choice or could eating these simple crackers lead us to crave more unhealthy snacks? While many believe that the Graham cracker can be included in an overall healthy diet, there are some who still believe that snacking on these types of crackers, especially while young, could potentially lead to unhealthy eating habits later in life. With childhood obesity becoming a major concern because of its link to serious health problems such as diabetes and heart disease, many parents are trying to steer clear of foods that may be considered a gateway snack to eating things such as cookies, chips and crackers which are usually high in calories and fat as well as loaded with salt. On the other hand, Graham crackers are also seen as something that can be used to make healthy snacks for kids. Using them with other sources of nutrition such as applesauce and peanut butter can create a healthy and satisfying snack that kids are sure to love. 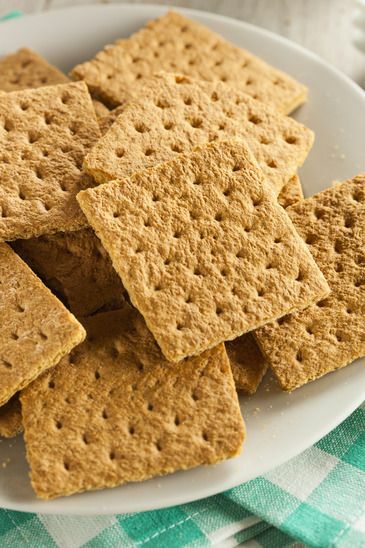 Graham crackers can also a healthy snack for diabetics. For people who suffer from diabetes and who really need to watch the amount of sugar in their diet, Graham crackers topped with peanut butter can make a healthy snack that is satisfying and filling at the same time. So are Graham crackers healthy? The final verdict…sort of. Graham crackers, while not a health food exactly, can be included as part of an overall healthy diet. How you choose to use the Graham cracker in your diet will play the most important role in whether you can consider it healthy or not. On its own, it’s like a low fat cookie, but used as a substitute for other more unhealthy snacks, it can be a wise choice. The Graham cracker can be easily transformed into a nutrient packed snack by simply adding things to it like various nut butters as well as fruit. But, it can also quickly become a dessert when topped with chocolate and marshmallows. I remember once when traveling in Europe, I met a lady at a café who was indulging in a gooey sweet pastry. When she offered to buy me a slice of rich chocolate cake I told her I was trying to stay away from sugar. She smiled and replied, “Everything in moderation, dear.” That phrase has really resonated with me over the years as I have fought my own battles with what to eat and what should be avoided. So go ahead and eat that beloved Graham cracker! Just remember that making smart choices about how you choose to adorn your cracker and limiting your serving size it what will make or break this potentially healthy snack. Hubby pre diabetic, so, I started making big changes in the kitchen. His chips, cookies, lil Debbie’s, have been replaced with Graham crackers. This aricle makes me aware I was right. Great Article. I’m trying to help my wife find healthy snacks for Diabetics. She enjoyed the history of the Graham Cracker. What is the recipe to make your own graham crackers? What about eating Graham crackers while having a bad cold?? The honey can soothe the throat etc., but the what if the rest of it?? An answer ASAP would help a lot. Thanks. No. The honey won’t soothe the throat u less in a liquid form. Also the crumbly part wouldnot about upset your throat when sore much more than easing it. So NO. a Graham cracker wouldn’t help a cold, sire throat and probably feel far worse than nothing at all. Honey only helps in a liquid or raw form. Not when baked in something crunchy lol. Our mom would put peanut better on a graham cracker, top it with another one then put on a thin frosting, yumm. Also we loved them in a bowl with milk and that continues to be one of my favorites even now and I’m 89 years old. Thanks for correcting my typos so Evelyn gets a legible response ! I love graham crackers plain and with peanut butter. I also love to dunk them in coffee. I want to be a healthy person, but my taste buds prefer junk food. What should I do about it? How should I start? Would the graham cracker be a good place to start? You should start by not leaving any junk food around the house, and yes, the graham cracker is a good place to start. I have always loved Nabisco Graham Crackers as a child; I still love them as a Senior at 69! Thank you! I tend to overindulge but I have a sweet tooth that seems to not along me to neglected to long. Thanks for sharing this valuable information. My comment was supposed to say munching away on this beloved snack ha! With autocorrect that’s technology for ya. Thanks. Enjoyed reading that. Who knew graham crackers have a history! Worth sharing this. Long live the graham cracker, a beautiful ode to infants and adults alike and I know that it has filled my childhood memories with many a days munching away I’m his beloved snack and I couldn’t wait to look forward to field trip days that were filled with lunches with graham crackers, aah… truly good times, thank you mr. G.
Elle, thank you for that hilarious auto correct post. Getting in to bed after a great day with four Graham crackers to eat as I read the info and then your reply. Great laughter to end the day. Also, thanks so much for the clarification.